When a brilliant finish and durable protection are needed for P1500 and finer scratches, 3M Perfect-It Gelcoat Light Cutting Polish and Wax is the perfect solution for light or dark coloured gelcoat. 3M Perfect-It Gelcoat Light Cutting Polish and Wax's improved the formula with longer wet times offering easier clean up, less dust and more efficient use, even in warm climates. Specifically formulated for boats, caravans and industrial gelcoats. 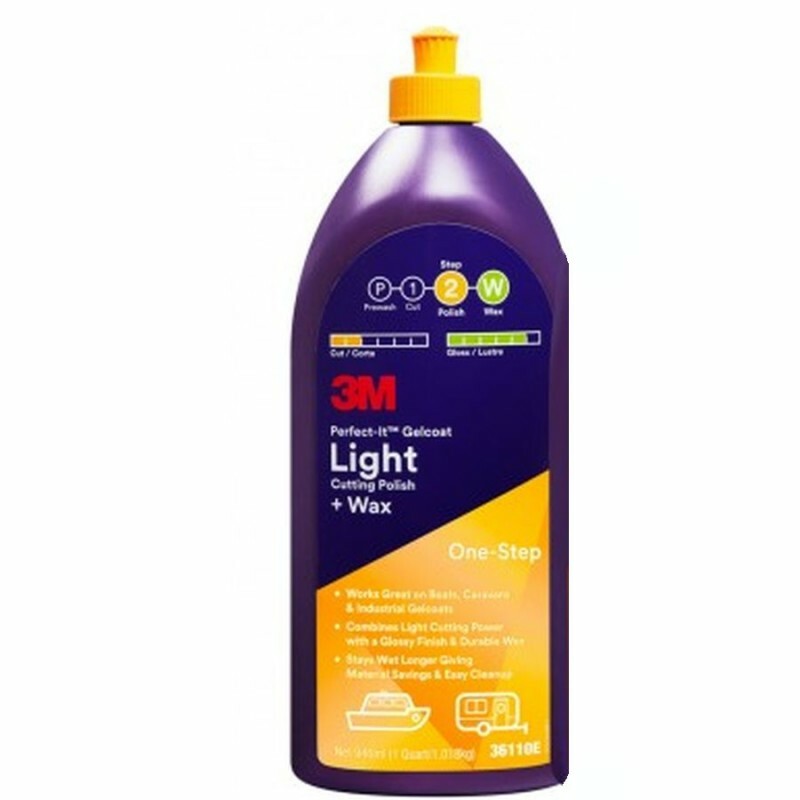 3M Perfect-It Gelcoat Light Cutting Polish and Wax is ideal for one-step processes. Use whenever you want a durable wax finish.